To view some of the productions photos for “And Then There Were None”, please click here. 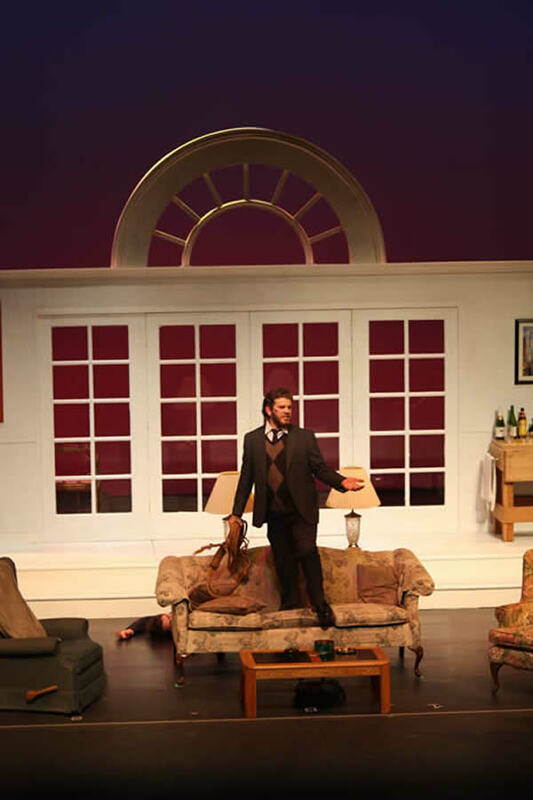 And Then There Were None” was the very first production produced by Skyline College’s brand new “Theatre Club”. The set was designed and built on a shoestring budget and I opted to go for a minimalistic but elegant representation of a Colonial Style vacation home on an island. The set was broken into three separate units that were fixed to the stage so that the entire set could be viewed as a whole room, or individually, depending on which area was lit. The large windows in center stage were complimented by the wide open “empty spaces” above and in between the units to make the weather outside a prominent feature in both the lighting and mood of the scene.